This dainty reproduction ring is based on an original poesy ring now in the Ulster Museum in Belfast. The ring is engraved in Spanish 'no tengo mas que darte'. It uses the charming device of a hand holding a heart to complete the phrase: 'I have nothing more to give you...' - essentially replacing 'but my heart' with the heart shape. 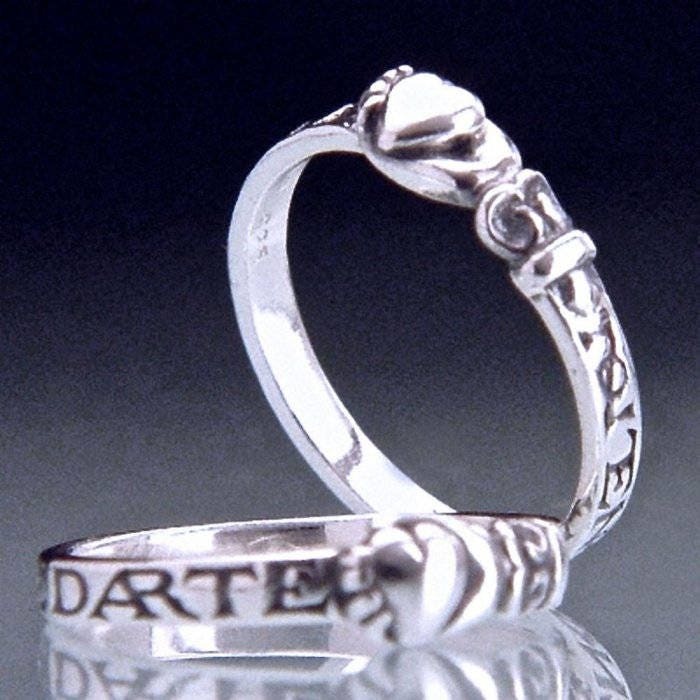 A Spanish poesy is in itself unusual, but the use of a symbol rather than words and the small scale of the ring make it especially unique.